We are enjoying beautiful weather today, cool, breezy with a light drizzle. It prompted me to bake a simple chocolate marble pound cake. I wanted to experience the aroma of freshly baked cake. 😉 Nothing fancy going on here. 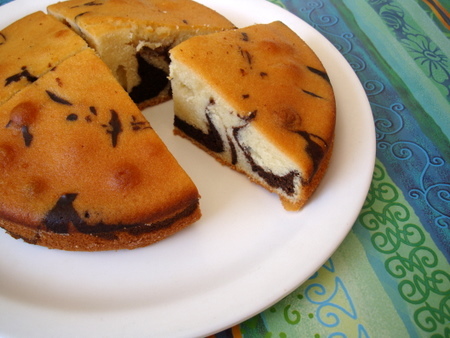 Just basic cake making ingredients – flour, butter, sugar, eggs and cocoa powder. 1 Preheat oven to 170 C. Grease and flour a 9″ round baking pan. 2 Sieve maida, baking pwd and salt in a bowl. 3 In another bowl, combine butter and sugar. Use a hand blender to make a smooth creamy mixture. 4 Add one egg at a time, beating each egg for 1 mt. Add vanilla essence and mix. 5 Using low speed, mix in the flour mixture little by little alternating with milk. Do not overbeat, just mix till flour is combined. 6 Remove a cup of this batter in a bowl and combine cocoa pwd. Mix it and do not over beat. 7 Pour a tbsp of white colored batter into the greased and floured pan. Alternate with a tbsp of cocoa batter. Continue through out till both the batters are finished. 8 Take a knife and swirl it around the batter in a zig zag fashion, 3-4 times. 9 Bake in preheated oven for 45 mts or till a toothpick inserted into the cake comes out clean. If the cake is browning too quickly on the top, remove from oven, cover with an aluminum foil and bake till done. Place on a wire rack to cool for 15 mts. Slice and serve at room temperature. Sieve 2 tsps baking powder, 1 tsp baking soda, 2 cups maida/all purpose flour and 1 cup milk powder twice. Keep aside. Mix 1/2 cup water, 1/2 cup milk and 1/2 yogurt and keep aside. In a bowl, cream the butter and add 1 tsp vanilla essence and gradually add a cup of powdered sugar little by little and mix well. Next, fold the flour mixture alternating with the wet ingredients (water+milk+yogurt) starting and ending with flour. Do not over beat. Take a cup of this cake batter and fold in 2 tbsps of cocoa pwd. Follow the instructions on how to pour the batter into a greased baking pan from the recipe instructions above. Bake at 170 degrees C for 35-40 mts. ‘ll d cake taste d same……..? Sieve 2 tsps baking powder, 1 tsp baking soda, 2 cups maida/ all purpose flour and 1 cup milk powder twice. Keep aside. Mix 1/2 water, 1/2 cup milk and 1/2 yogurt and keep aside. In a bowl, cream 1/2 cup butter till smooth, add 1 tsp vanilla essence and slowly add a cup of powdered sugar little by little and mix well. Next, fold the flour mixture alternating with the wet ingredients (water+milk+yogurt) starting and ending with flour. Do not overbeat. Take a cup of this cake batter and fold in 2 tbsps of cocoa pwd. Follow the instructions on how to pour the batter into a greased baking pan from the recipe instructions above. Bake at 170 degrees C for 35-40 mts. Lovely stripes.. Looks pretty and appealing! Spongy pound cake looks absolutely stunning..
Wow, and I didn’t think that pound cake could get better! 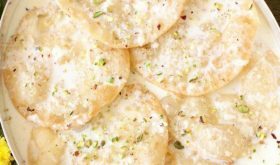 I am trying to bake cakes in my convection oven but am not getting them right…They burn at the top and inside they will be uncooked ..
Can you plz tell me Sailu ji where am I going wrong? You have to ensure that the baking pans are of good quality. Sometime poor quality pans yield burnt cakes. Some ovens do not have adequate air circulation and this can lead to brunt cakes. If the cake is browning too fast, remove the pan and seal with aluminum foil and place back in oven and bake till done. Wonderful cake again!! I just wanted to ask something…the butter u use for the cake, do u melt it before n then let it cool & follow the process or there is no need of melting the butter. Plz clarify. thanks again for a wonderful recipe..will b trying it soon for sure!! There is no need to melt the butter. Mix it well till smooth and creamy. i hav a dbt..can v do this cake without cocoo pwd..with same quantities of other ingredeints..
and i hav prepared a cake in oven but it has burnt at the top and bottom..in the middle it was not baked at all..preheated oven means how much time ..and i hav baked at the temp 170’c for abt 35 to 45 mins.. Yes, you can prepare this cake without cocoa pwd. You have to ensure that the baking pans are of good quality. Sometime poor quality pans yield burnt cakes. Pre-heat is usually for 10-15 mts. Place the baking pan in the middle rack and do not open the oven door often. If the cake is browning too fast, remove the pan and seal with aluminum foil and place back in oven and bake till done. thanq sailu gaaru.. i hav used oven safe bowl(glass) as cake pan..is this the reason..shall i use oven safe bowl to prepare a cake.. Try aluminum baking pan next time you bake a cake. Thats one pretty cake! It would be so perfect with some nice masala chai for the lovely fall evenings we’re having now! ur recipes r very good.i tried most of them and they turned out really well.do u have a microwave cake recipe? 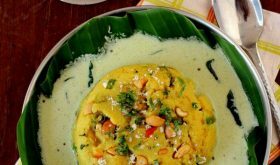 Hi sailu garu… nice cake recipe….can we use dalda/vanaspati or any other alternative… for butter? ?… which one is better?? plz suggest. You have to use butter for this recipe. 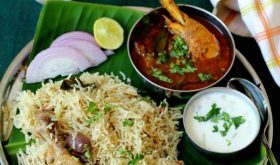 Thanks for sharing the art of cooking, I check you posts in http://www.indli.com (Links India Likes). am staying in USA n have tried many of ur recipies. thanks for all.but i have one thing to ask n dat is wenevr i try to make cake in a microwave its very fluffy wen it comes out but then after sumtime it flattens n becomes very hard.wats the prob? I live in USA and missed the point that 170 C is not 170F and tried baking for 45 mins waiting for cake to bake. Later re-read the blog a number of times to see if I missed a point and read all the comments and finally it stuck to me that this could be centigrade and convereted to Farenheit to find out that I need to bake at 338F . Considering a large number of internet users are USA based too, it would be nice if you include both C and F temp settings for all your baked recepies. I made the punjabi chole yesterday and it came out very well. cooking oil for preparing the cakes/ muffins/cookies?. if yes means what is the quantity i should use? Glad the chole came out well. 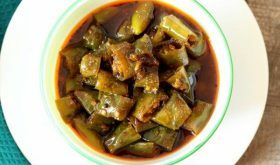 Regarding use of oil, it depends on the recipe. Oil might not work for all recipes. Substitute 1 cup butter with a little more than 1/2 cup of oil. Olive oil work well too. Can i use oil for this chocolate marble pound cake . I use a simple digital cam, Sony Cybershot DSC-W300. I take pictures during day time when there is lot of natural light. Hi! I baked the cake as per your instructions it came out fine but still it seemed a bit crumbly to me. Where did I go wrong? I guess you used too much flour or might have reduced the sugar or butter quantity. Also do not over mix. Hi, the cake turned out to be good, but it was a little bit crumbly and the crust also got browned too much. Where did I go wrong? When you find the top is browning too fast, take the pan out and cover the top with foil and reduce temperature by 25 degrees centigrade and bake. 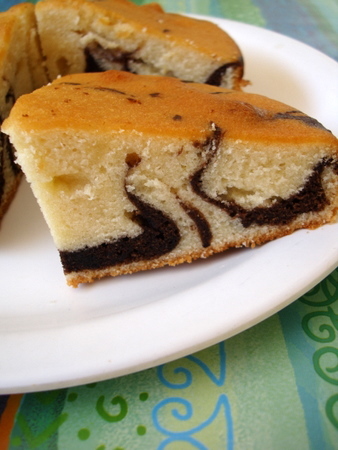 i tried this marble cake but something went wrong at baking,the middle portion of the cake didn’t bake fully only the outer side was done.what did i do wrong?before baking how much time should i pre heat the oven?plse tell me.mine is onida. You can pre-heat oven for 15 mts. You might have to check your oven temperature settings. If its under cooked, you might have to increase the temperature by 25 degrees. hello mam, how long should i bake if i take only half of all the ingrdients. should i reduce the baking time to half. Hi, Can you tell me the equivalent of 1 cup in gms? Hi what is weight equivalent of 1 cup? Is it 250 gms? I use American metric system for baking. Its 240 gms. Can we cook this cake in convection mode of Microwave oven? And if yes, will preheat & Baking time remain same? Hi sailu , I have been seeing ur posts on FB , today decided to try ur blog recipe for cake. Can you please suggest if I can replace oil for butter. What quantity shud I use like in cups measurement..
Hi, how can I make this without eggs? 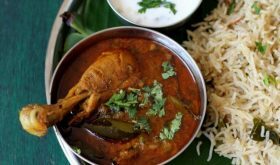 Hi sailaja….u have amazing recepies. I tried out your chocolate party cake with icing it ws just aewsome…just like the cake v buy from cake shops. Thank you so much. i do ahve a common problem when baking, the cake in the center breaks n rises more from just the center…where am i goin wrong?? Plz let me know…however it did not happen so when i was baking your chocolate party cake. You can reduce baking soda a wee bit. What you can do to achieve even topped cakes is to take a thin strip (1 to 2 inches width) of cloth like a towel and wrap it around the sides of the cake tin. Pin it at the end. Ensure that you wet the cloth in ice cold water and squeeze out the water before you wrap it along the sides of the cake tin. Pour the cake batter into the cake tin and bake according the instructions given in the recipe. You can also bake at slightly reduced temperature for a longer time. Eg at 150 C for an hour or so.